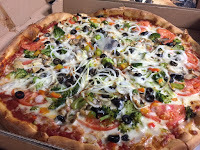 For the first pizza blog last month, we had Vinny’s, which I had never tried before. 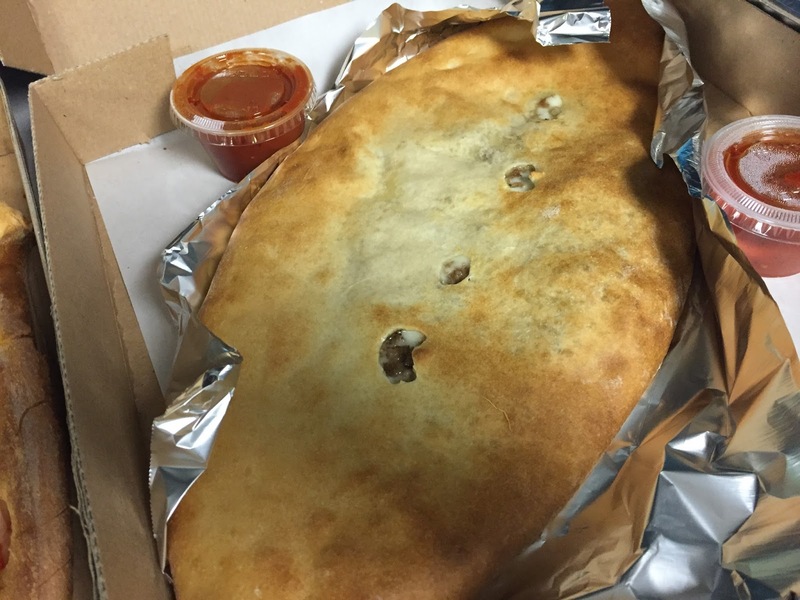 This month’s pizza was one that I was quite familiar with…Miseno’s in Carlisle. It’s one of my go to pizza places, so I had a pretty good idea what we were in for…large, appetizing pizza. But, to my surprise, we ordered more than just pizza. This month we ordered a cheese pizza, veggie pizza and a Cheesesteak Stromboli. For an office of 13, we definitely don’t want to run out of food. Luckily, we had enough and then some. 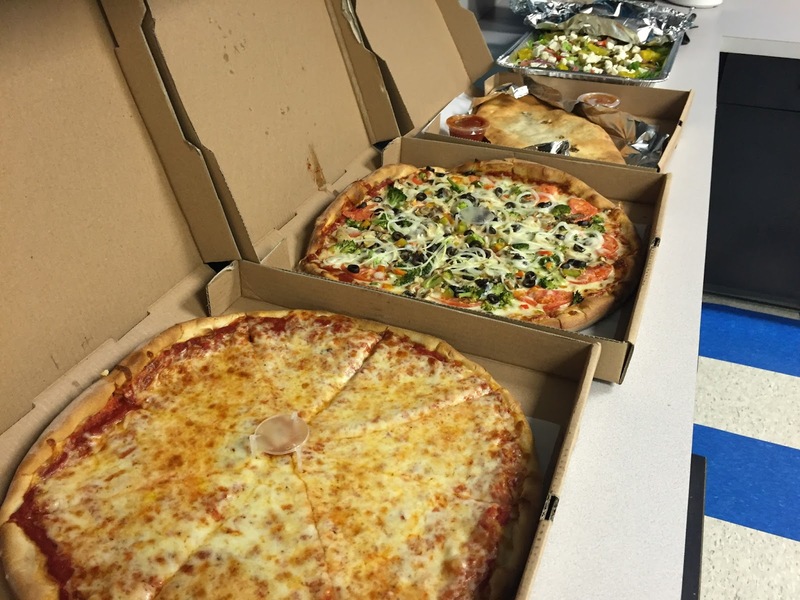 The Cheese pizza from Miseno’sis typically our go-to in-office pizza, which was good as always. The slices are wide and you’re really getting two slices for one. 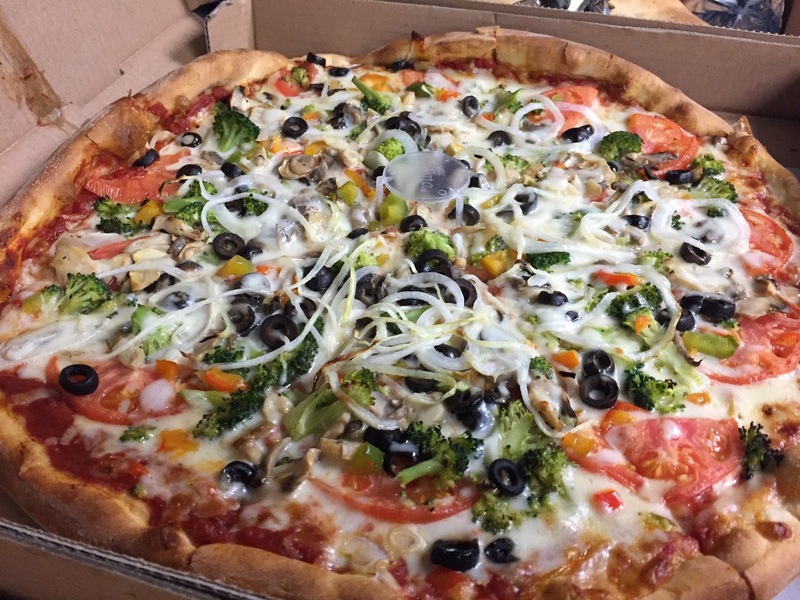 While I’m not one for Veggie Pizza, you really can’t go wrong with Veggie Pizza from Miseno’s. Again, the slices were large and they were filled with toppings like tomatoes, broccoli, olives, onions and mushrooms. This pizza was probably gobbled up the fastest from our staff, which speaks to its appeal and its taste. some very long slices, but you’re essentially getting two pieces in one. Everything about this Stromboli was delicious and it’s the perfect partner to pizza from Miseno’s.